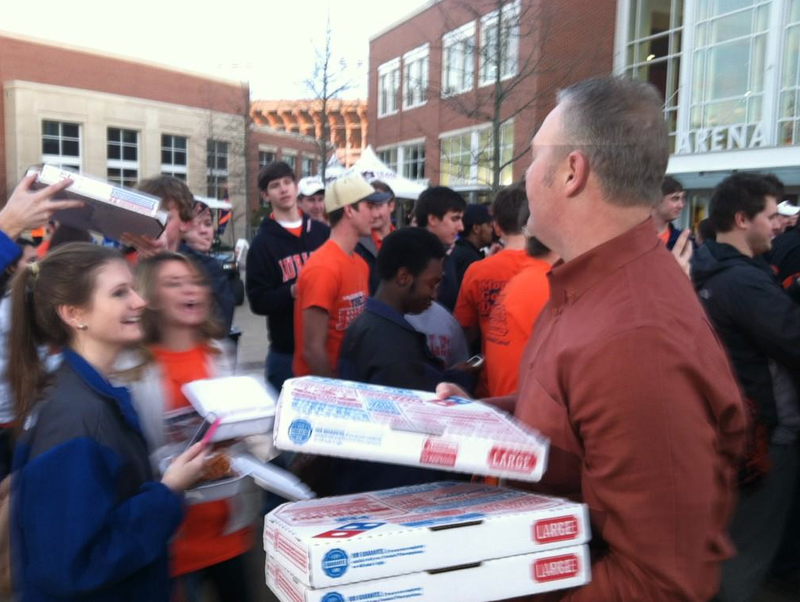 Auburn students were lining up for Saturday night’s game against Kentucky three hours before tipoff. 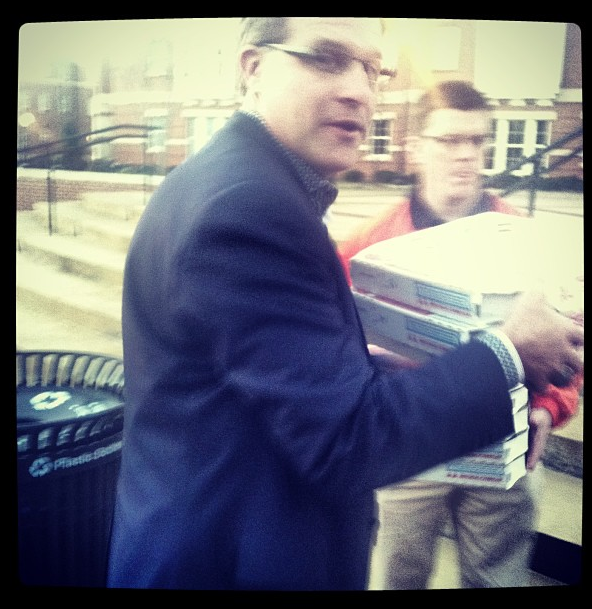 So Gus Malzahn brought them Domino’s. 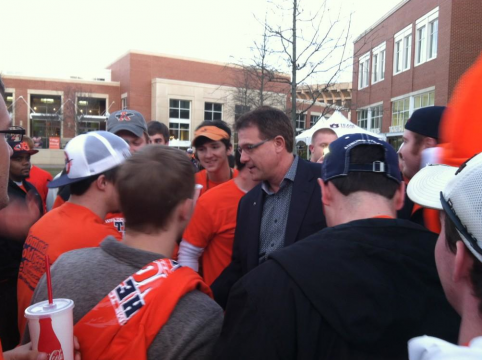 It’s another PR slam dunk for the athletics department, which is doing its darndest to encourage continued student support of Auburn basketball in the wake of a communications breakdown regarding ticket prices during the Auburn-LSU game earlier this month. Jay Jacobs got in on the act, too. Malzahn is also scheduled to speak to the Auburn Arena crowd tonight. I’m sure you meant to say “tipoff”. Yes, corrected. Typo, not Freudian. Actually, I was lined up at 2:00 and two guys in front of us were there at 1:00. Until 3:00 there was only about 20 of us. The big crowd got there around 5:00 or so. 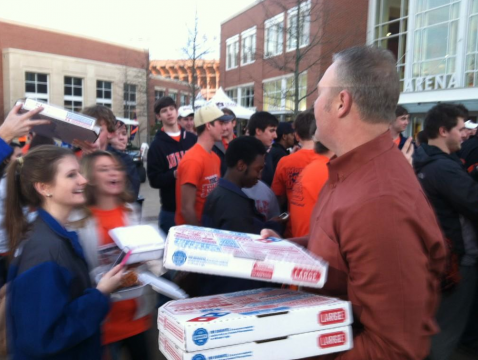 Jay Jacobs probably failed to bring enough pizzas…….. I bet he delivered them within 30 minutes.